Zmanda is a business focused professional cloud solution. The service is already very popular cloud storage solution which Carbonite acquired back in late 2012, and has since become a leader in the field. Zmanda offers backup storage to bigger scaled businesses; whom require high levels of security and extensive cloud data storage solutions, they offer very unique price plans that cater specifically to you enterprise’s needs. The service they provide has an advanced server and multi-platform support, professional needs are well met across the board at very affordable prices and this is one of the reasons that makes the service they provide incredibly popular. Various platform options such as Windows or Linux clients start at around $300-750 USD. All of these plans average out to be 15 cents per gig. A hefty discount for industries who’ll probably be using terabytes of data monthly, the service they provide will save your business an incredibly large amount of money in the long run. Zmanda offers extensive plans for other server needs like recovery managers, and all extra needs can be addressed with add-ons. The beauty of Zmanda is that there is guaranteed to be a price plan that exactly suits your requirements, whilst cheap you are unlikely to miss out on the great set of features they provide with their plans. Zmanda offer numerous features that benefit their users. The service they provide is accessible on multiple platforms and there interface is incredibly easy to use, this save you time. They provide a vast array of back up options to ensure the security of your data and of course this is fully automated, giving you peace of mind. The fact that the service they provide runs alongside Carbonite ensures their quality, you can rest assured using Zmanda that all of your data is backed up securely and efficiently. As a business cloud solution, security is of the utmost importance, the service they provide ensure the highest levels of security which gives you peace of mind when backing up your data . Zmanda offers encryption software used for the most sensitive applications imaginable. They ensure security by firstly offering strong authentication, they offer a vast array of encryption levels that peaks at as high as 4096-bit keys, all of you stored and transmitted data remains safe and highly secured at all times. Real time data monitoring also ensures superb reliability; with strong cloud recoverability. The service they provide covers all bases with regards to security as they take incredible lengths to ensure the security of your data. As such, they really seem to be aimed at corporate environments that use a variety of operating systems including Mac, Linux, Windows, and a smattering of other systems such as Oracle. You can’t simply run a simple “speed test” to benchmark their service, and backups are going to depend on countless factors such as local network bandwidth, the amount of data that needs to be backed up, and the types of operating systems present on the local network. That said, they do have a lot of positive customer reviews that were pleased with transfer speeds. 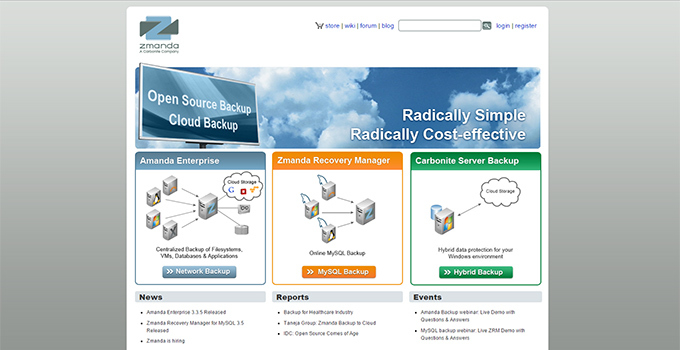 Backup with Zmanda is easy, streamlined, and applicable to all file types. 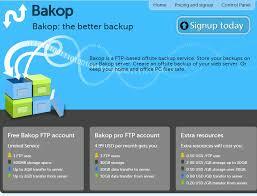 Rules can be created depending on your automated backup needs. Extensive options are available down to split employee accounts. The automation allows you to have peace of mind, while Zmanda takes care of having proper cloud redundancy to avoid any data loss. From all fronts the service they provide is more than adequate on the backing up of your data front, the service they provide gives you the user control and this can a massive benefit if you’re a business big or small. Restoration is also another strong point that comes with the service they provide, they implement features such as a simple recovery manager tool with multiple fail safes to ensure your business data is stored at multiple locations. The real time monitoring also helps retrieve any older versions of documents. You can rest assured that the service provided looks after your data and covers you for any eventualities. The service comes with professional support. Training is available for IT and employees, focusing on usage of their service and the various features. The online portal includes support, along with live phone and email contacts. If you run into any troubles, you will be well served by efficient support agents. If you have any problem with the service they provide you will be able contact help quickly, this is a major positive if you’re a business. Zmanda’s service is a great solution for businesses, at some of the most competitive rates I have seen. They have quickly become a leading cloud storage solution for businesses, backed with high levels of security and variable security options; cheap prices, and full support for server needs makes them a juggernaut in the cloud based services industry. The plans allow for large data capacity requirements, and overall, the service is just well developed with an intuitive interface that saves time and money for companies looking to move towards cloud storage.